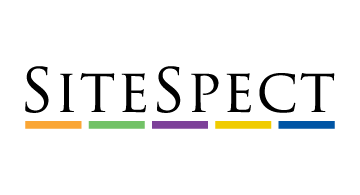 SiteSpect is leading the advancement of testing, targeting, and personalization software that empowers the world’s most successful digital businesses to drive revenue growth, deepen customer engagement, and sharpen their competitive edge. SiteSpect frees companies from the constraints and compromises of tag-based tools, so they can optimize every aspect of their digital business. Only the SiteSpect Digital Optimization Platform enables customers to test the entire user experience, from the front-end "look and feel" to the back-end functionality, and centrally manage those tests across channels, product lines, and business units. SiteSpect also makes it easy to run hundreds to thousands of tests each year, giving companies the right metrics and meaningful insight necessary to continually deliver the best customer experiences. The top digital companies, including Wal-Mart, Target, Eddie Bauer, Urban Outfitters, Wayfair, Trulia, Overstock.com, and leading financial services and media companies trust SiteSpect to help them build more successful digital businesses.